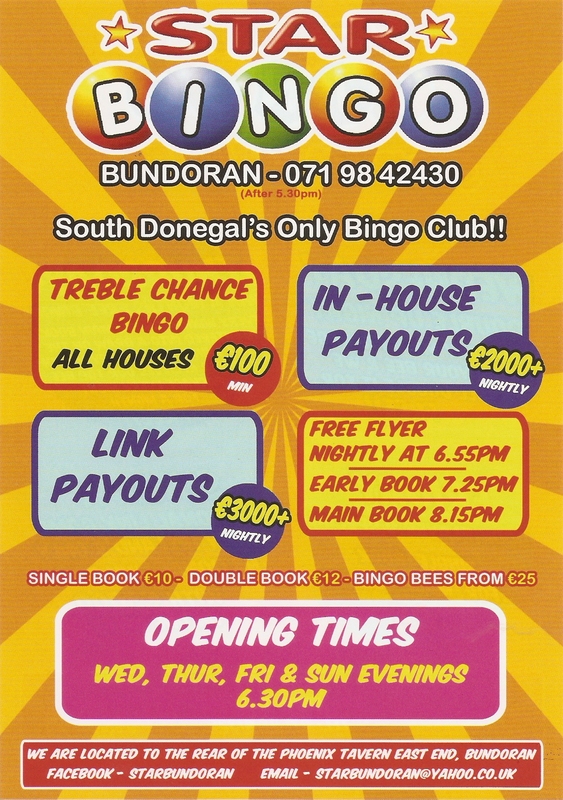 Star Bingo Is located at the back of the Phoenix Tavern on the Main Street of Bundoran. We welcome non-members to come and play. We are open nightly apart from Mondays, Tuesdays and Saturdays. Doors open at 6.30pm. Every night we have a free sheet at 7.00pm, then straight into link up pongo. The in house early bird is at 7.25pm, and the main session starts at 8.15. On Wednesdays and Thursdays we link up at 7.20pm for the early book.